Sixth edition of this popular self-study guide for students of German. Each chapter covers a grammar point: i.e., a part of speech (noun, verb, pronoun), a word's function in a sentence (subject, direct object, indirect object), or a grammatical term (tense, conjugation, declension, gender). Each chapter is divided into two sections. 1. In English: grammar is explained as it relates to English, anticipating concepts necessary for German. 2. 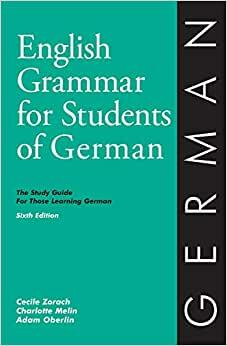 In German: grammar is explained as it relates to German, with examples and explanations of the rules applied. Points out similarities, differences, and alerts students to pitfalls. Study Tips: how to learn vocabulary, memorize verb conjugations.... Available online: 1. Review booklet with Answer key 2. Correlations to popular 1st-year college German textbooks indicating the pages in the O&H Study Guide to be read in preparation for each lesson. Part of the O&H Study Guide series for students of foreign languages. Experience has shown that students using the O&H German Study Guide improve their performance in German grammar thanks to a better understanding of English grammar. Teachers can devote more class time to developing communicative skills. 5.0 out of 5 starsShould not be just recommended, but required. Would not be without it in the study of German. Working it cover-to-cover as well as the free exercises provided on the website; currently over halfway through. Was a “recommended” text in an introductory course I’m taking for fun (not for credit). (Former CPA, but English could have easily been a second major in terms of personal competence.) Learning German has been a delightful challenge and a very rewarding personal experience thus far. That being said, photo attached from this book (p. 8) explains the necessity of this book best IMO. Schools recommend this book but it’s an absolute “must-buy” (if not required), and if self-taught I especially recommend if using Duolingo solely in your study and looking for or needing more. I would not be the least bit surprised if those in a formal program found this better than the textbook itself and at a fifth of the price. This book is the foundation you need, the one you’re looking for. Indispensable for English speaking first year German students. It provides all the essential links between English and German grammar, while also providing a refresher on English grammar. 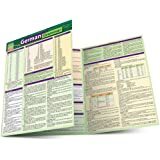 The OliviaHill.com site provides a study guide keyed to current popular German language textbooks in the form of a PDF. This was one of the best surprises from the first few pages of this great reference. This is an excellent primer for an English-speaking, first-time language student hoping to start learning German. This book is a good refresher of grammar rules in preparation for deeper study. As such, it is particularly helpful for adult learners whose grammar skills are a bit rusty. 5.0 out of 5 starsDon't try to learn German without it. This is the clearest, best laid out and helpful book I have found for learning German. English Grammar for Students of German It was more helpful than any other books I have purchased or borrowed from the library. By discussing the similarities and differences between English and German, it helped me put all the information I have read and listened to in the past together into a cohesive understanding of the language. Don't try to learn German without it. 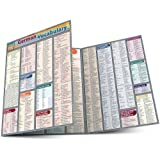 I started learning German 1 with an 'audio dialogue only' program I used when working out. I found this to be an easy way to learn and very enjoyable. When I got to level 2, I suddenly became very confused. 'Audio only' no longer worked as well. English has only one objective case for pronouns that are direct objects and indirect objects while German uses two cases. In English there is me, you, he, she, and it in the objective singular. In German you have twelve choices instead of five. The German plural form has 8 choices (counting sie and Sie as 2) instead of 3 in English. After receiving the book, I looked up pronouns in the index and it sent me to chapter 17. Looking at the table on page 80 instantly put everything into perspective for me. After memorizing the table I was able to go back to my audio learning. I am now noticing that my program is using another tense. Soon, it will be back to the book for more memorizing. 4.0 out of 5 starsGreat resource for those of us who could have used a better English class along the way! Great resource for those of us who could have used a better English class along the way! It's wonderful to learn a new language. It gets difficult when you have trouble identifying the cases of your native language! This book helps solve all of that.